Find valuable inside information about teaching English to French students in this article on handling culture shock in an immersion homestay setting. English families living in France who qualify to participate as host families for young French students are fortunate to have access to a wonderful opportunity. Teaching English to French children and sharing our culture with them offers host family parents and children plenty of chances to have fun, learn new things, and expand their own cultural horizons. However, in order for your family to become a host family, each family member has to be on board and ready to handle the challenges that sometimes come along with the good times. Even in very short immersion programs, and especially when hosting young students who may be away from home for the first time, homesickness and various degrees of culture shock can arise to put a damper on the fun. Don’t worry though. 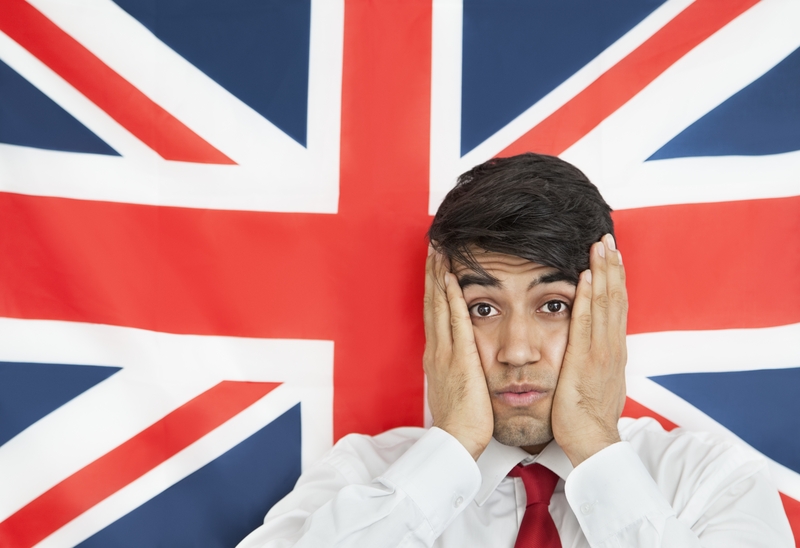 Dealing with these issues is not difficult when you are armed with a little knowledge, and it behooves anyone interested in the art of teaching English to know how to help students work and play through a little culture shock. Culture shock is a psychological phenomenon that effects different people in different ways, but does indeed effect nearly everyone who lives, works, and studies in a new and foreign cultural environment. First-time travelers and veteran expats alike can experience culture shock. It is primarily associated with extended travel and life abroad, but can occur with relatively mild cultural disassociations, particularly among vulnerable populations such as young children who are away from their parents for the first time. Culture shock differs from homesickness, although homesickness can be symptom or effect of culture shock. Homesickness is distress caused by being away from home. It is usually mild and can be positive in that it encourages the development of coping skills and supports strengthened feelings of attachment to and appreciation for one’s loved ones. In contrast, severe homesickness can be impairing, with symptoms of anxiety and depression that are sometimes strong enough to cause suicidal ideation. In this respect, homesickness shares traits in common with classic culture shock. More than simply missing home, culture shock is psychological stress caused by attempting to maintain our accustomed patterns of behavior in a new cultural environment. The experience of going through culture shock was originally described by anthropologists engaged in field work and is traditionally viewed as having four stages. In the arrival or honeymoon stage, everything is new and different, exciting, fun, and interesting. And like every honeymoon, this period sooner or later ends, leading into the frustration or culture shock stage. Differences that were once interesting become irritating and may be seen as defects or inferiorities of the host culture. The frustration stage can continue to deepen into a state of constant stress and increasing misery. Homesickness, depression, negative behaviors, and even physical illness can result. However, depending on personality and the support available, most people begin to gradually recover and move on to the adjustment stage. At this point, they are finding it easier to navigate and function within their new environment, and positive experiences are once again becoming predominant. The final stage is acceptance and adaptation. Though it may take months or even years to reach this point, by this time, the sojourner is able to function and even thrive in the new surroundings. That is not to say all aspects of the new culture have been fully mastered. Rather, an accommodation has been reached such that daily life is easy and rewarding enough that undue stress and frustration are relieved. Culture shock presents a wide range of symptoms, and many of them are relatively easy to spot, particularly in young people. Extreme homesickness, sadness, and a lack of interest and desire to participate are common. Teachers and other people close to the suffering individual may notice a dazed appearance, glazed eyes, and an inability to focus and stay on task. Unusual sleeping and eating patterns, mood swings, irritability, and hostile reactions to members of the host culture can appear. Physical symptoms such as stomachaches and nausea, headaches, and general malaise are possible. In severe cases, culture shock can result in symptoms of mental illness such as hypochondria, unwarranted fear and paranoia, and fatalistic or suicidal thoughts. This is unlikely to occur during short-term experiences with a new culture. The good news for those hosting and teaching English to French students is that simple homesickness and the more serious culture shock are easy to counteract and can be addressed with the same strategies. In the context of a brief homestay situation, students will likely experience only mild distress, if any. You can nip things in the bud early and laugh about it later, or even develop an interesting English lesson around it. In fact, this is a good initial approach: just as you benefit from knowing about the workings of homesickness and culture shock, your students will as well. Put together an early lesson that revolves around the topic, all while emphasizing that such negative or sad feelings are entirely natural, universal, temporary, and harmless. Encourage your students to be open and share their feelings. Start the conversation by talking about your own experiences with culture shock and homesickness. It is very important to stay busy. Keeping students occupied with their studies and involved in family fun times takes their mind off home and focuses them on the positive aspects of their new setting. And don’t forget physical activity and exercise – they are very important to maintaining healthy eating and sleeping patterns, and also lead to feelings of achievement and empowerment that support a positive mindset. Encourage questions and explain things to your students. Give them some cultural and historical background on customs and behaviors that are new to them. Provide the reasoning behind the way things are done and invite them to compare and contrast with their own culture. Again, there is excellent potential for teaching and discussion here, so don’t be afraid to build some lessons and activities around cultural customs, similarities, and differences. Show sympathy and empathy at all times. You don’t want to enable too much fixation on home, but make sure that students do have appropriate opportunities to contact their loved ones. There is no need for daily calls but selecting a few choice pictures to text home in the evening does not hurt anything. Another way to show empathy is by demonstrating interest in students’ home customs and traditions. Allow them to build confidence and close some cultural gaps by teaching you on occasion. As we all know, favorite foods are always grounding and good for the soul. Give your students access to favorite treats or even let them cook a special dish from home if this type of activity is age-appropriate. Fighting culture shock can be delicious! Teaching English or any language properly involves teaching culture and crossing cultural barriers with ease. In a short-term homestay situation, real problems with homesickness or culture shock will be minimal to nonexistent. Still, forewarned is forearmed. As a homestay parent, you want your students to be as comfortable as possible, and building cultural competence is a prime objective when you are teaching English to French students. Aim beyond mere communication to give your students the ability to adapt to and embrace a new culture.